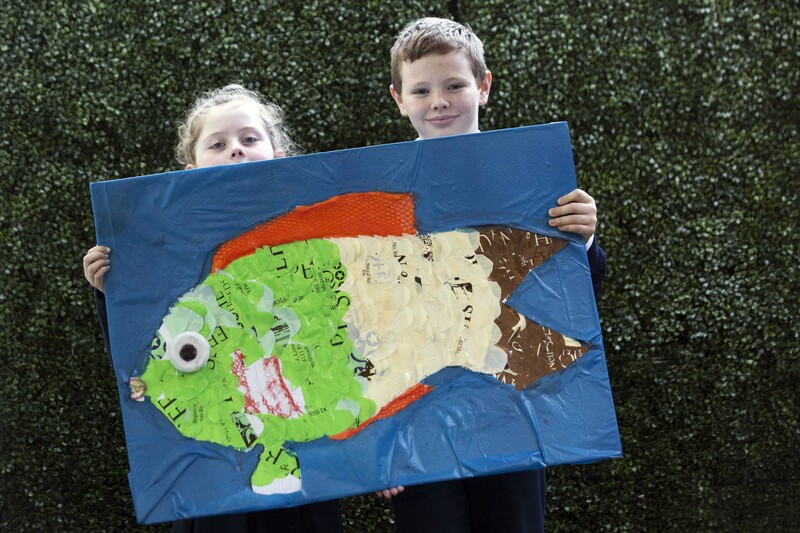 Students from 15 schools celebrated Ireland’s marine environment and drove awareness of the challenges it faces at two recent Green-Schools Marine Environment Conferences in Limerick on Tuesday and Wednesday, December 5 and 6. Picking up where this year’s Late Late Toy Show left off, 455 students and teachers who have been working on the Green-Schools Marine Environment theme looked deeper ‘under the sea’ and learned more about our precious marine environment and how our actions impact upon it. The first Marine Environment conference took place in Dun Laoghaire last year and this year Green-Schools have grown the event into two days in Limerick, allowing more schools the opportunity to attend. Each school exhibited a project about an issue related to marine life at the conference, and two schools (one on each day) were chosen to present their projects on stage. Alongside these students were from the Green-Schools programme; An Taisce’s Clean Coasts programme and two special guest speakers: Jo Ruxton, producer of A Plastic Ocean documentary and writer Martin Dorey, founder of the #2minutebeachclean project. This is the second year of the Green-Schools Global Citizenship Marine Environment theme, which is supported by the Water Quality section of the Department of Housing, Planning, Community and Local Government. The theme focuses on actions students and communities can take to tackle issues that affect our coastline and the world’s oceans through awareness raising and involvement in projects like #2minutebeachclean and #2minutestreetclean. View a gallery of photos from the event on our Flickr page.